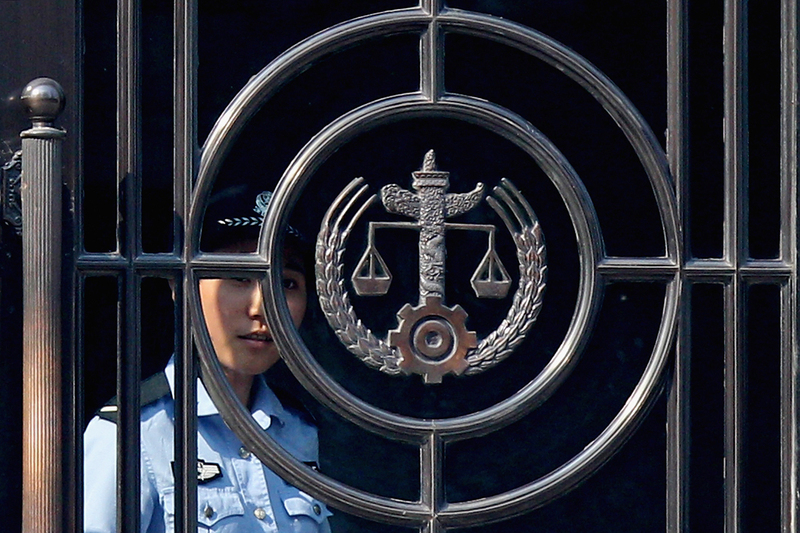 A police woman at the gate of the Jinan Intermediate People’s Court, August 23, 2013. Professor Jerome A. Cohen began studying the law of what was then called “Red China” in the early 1960s, at a time when the country was closed off, little understood, and much maligned in the West. Legal institutions were just developing at that time and, under the rule of Mao Zedong, were liable to dramatically change every three to seven years, Jerry says. After 12 years of persistence, he was finally able to visit the elusive country, and quickly became a pioneering Western scholar of China’s legal system. To read more about Jerry’s highly unusual decision to study Chinese law way back in 1960, see the first chapter of his memoir. He later practiced law for 20 years, representing companies and individuals that had disputes to settle or contracts to negotiate in China, and retired from a partnership of Paul, Weiss, Rifkind, Wharton & Garrison LLP in 2000. Jerry is now a Professor of Law at New York University, where he teaches courses on Chinese law, society, Confucianism, and international business contracts. Jerry sat down with Jeremy and Kaiser at the China Institute in New York on May 17, 2017, to discuss his long and distinguished career, to comment on China’s legal development and the state of rule of law in China, and to talk about his relationship with Chen Guangcheng, the blind self-taught lawyer who left China in 2012 with Jerry’s help—only to find himself used by conservative ideologues in the U.S.
“The Five Main Projects of the Belt and Road Initiative: A Visual Explainer,” The South China Morning Post.